Before going on to explain what CSS Grid is and what it is for, I will explain the current state of the tools we have when developing a layout for our website. Using this HTML we will add the styles using float, flexbox and CSS grid. Just by looking at the resulting css, we can see how we need to apply “patches” to center the .center class and use clearfix hack to prevent the .container class from losing its size by having its children as floating elements. To deal with all these hacks needed when designing, flexbox emerged, which provides a significant improvement over float. In the previous code we see how it is no longer necessary to specify anything in our three columns, we simply modify the properties of the class .container and we can place our elements comfortably. Despite not being appreciated in this example, and as mentioned above, flexbox works very well in a single direction either vertical or horizontal, but if we want to work in a layout positioning element in both directions we face another common problem , not only in flexbox but also using floats. Another disadvantage when using both flexbox and float is the fact that we have to group our elements in boxes, since we need a specific group of elements to be positioned together in the same area. 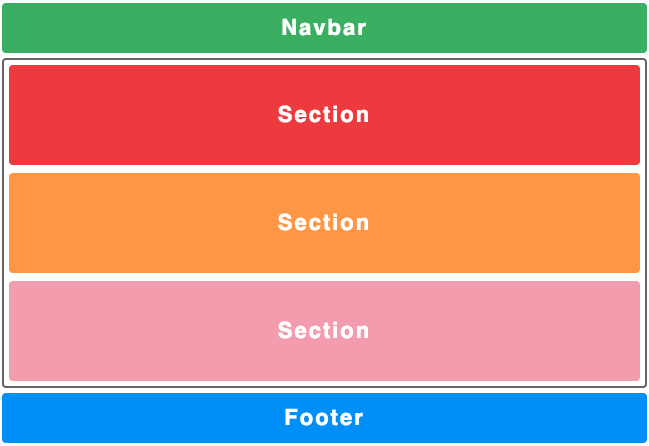 In the case of flexbox, assuming that we are working in a horizontal layout we should group all the elements we want vertically into a new parent tag, which will contain all the elements to be positioned vertically and specify the vertical direction there. Doing this forces us to add unnecessary html tags that do not provide any semantic value. In the previous example we can see how we need to add a new <div> to encapsulate the elements that we want to position vertically and despite being a single extra element, this large scale can lead us to have hundreds of tags without any semantic value, so that we would have a complex html without semantics. 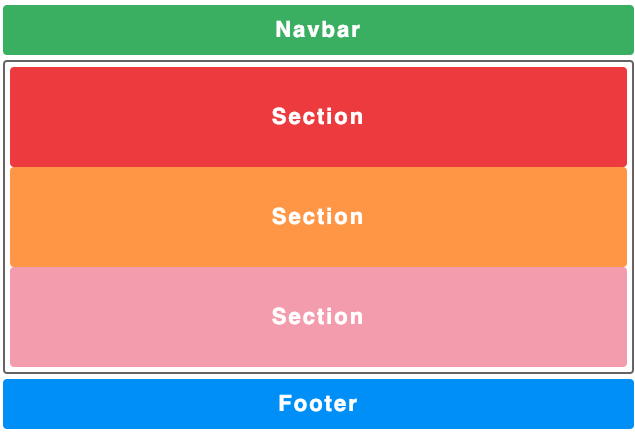 To solve the problems when using float or flexbox appears css grid, which does not force us to use “hacks” to achieve the expected behavior of our CSS and offers the possibility of designing a layout in both directions without the need to add extra and unnecessary elements to achieve it. Another advantage of using grid, and perhaps one of the most important, is the fact that it manages to separate our HTML from the css, we no longer need to modify or adapt our html to behave well with our css, with grid we get that html just be what it should be, markup. Given that most browsers support css grid, it has become an option to be taken into account more and more likely to replace flexbox, which is its most recent competitor. 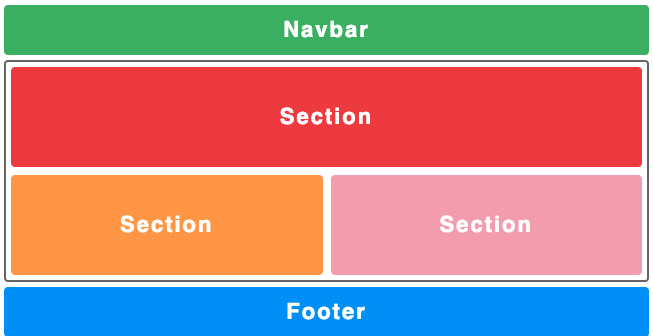 The main concepts of CSS grid are very similar to flexbox: we have a container that includes a series of elements on which grid properties are applied. We will start to apply the display property: grid to our .container, which will indicate that our container is a grid, but by not specifying anything else it will simply stack the divs one on top of the other. Now we will specify the form of our layout. Since we want 3 columns and a single row, we will use the properties grid-template-columns and grid-template-rows, to which we pass the value we want for each of our rows or columns. Now we will start creating more elaborate layouts. To begin with, we will use the unit ab abbreviation of fraction that takes the assigned value from the total available space of the container. This unit is very useful as it prevents us from unnecessary calculations. We will also use the repeat () function that accepts the number of times to repeat as the first parameter and a value as the second parameter. 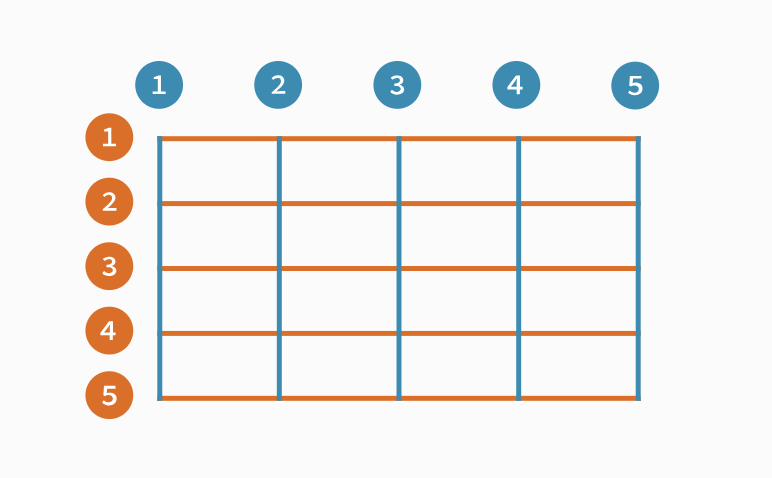 Using this function will prevent us from repeating the columns or rows as for example grid-template-rows: 1fr 1fr 1fr …. Finally, we will use the grid-gap property, which is the abbreviation of grid-row-gapy grid-column- gap, in this order, we can assign a general value for both or a specific value to each one. Simply with this change in our css we have modified our entire layout completely, something that is impossible to do without CSS grid. This incredible property allows us to modify our layouts very quickly, allowing us to create simple mockups very fast and we can move different elements of our layout to see how we like them more. I added a link to codepen in which I could modify the property grid-template-areas and thus be able to see how the layout changes. As we have already said, flexbox opts for an approach based on single-direction containers while CSS grid opts for a bidirectional layout. 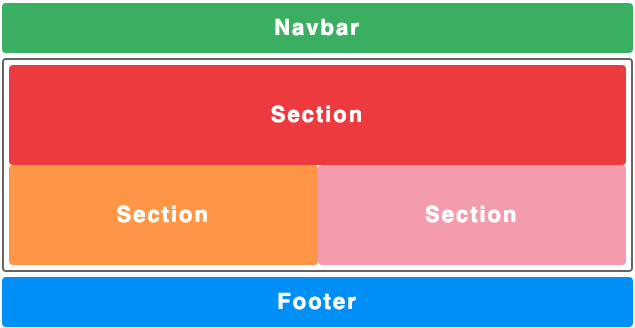 As a result of this, flexbox is better suited for the use of components, since most of the content of a component is usually in one direction since it is usually small-scale content, whereas if we require a more complex layout, with varying directions, we would use CSS grid. It is also necessary to take into account the support of both browsers, because if we want to support IE browsers we should opt for flexbox, since having more use has polyfills adapted for IE. If you are interested in css grid or in software development in general, I highly recommend you to subscribe to our monthly newsletter! you said “Given that most browsers support css grid” but the problem is when your website users don’t use the latest browser versions. Can we sacrifice 15% of our website users to use css grid? Hi Souhaib, many thanks for your words! It really depends in your own case, for example we have clients who want to have websites to be run on IE10/11 so then we can not use it, but you can also use CSS grid for the browsers who support it and use some flexbox and polyfills to give support to this other browsers.